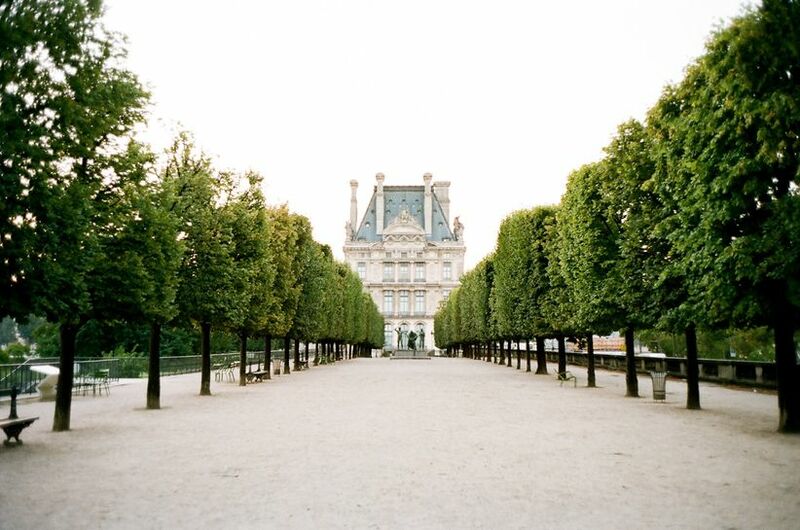 Transport yourself to the City of Love with these oh-so-romantic Paris themed wedding ideas. 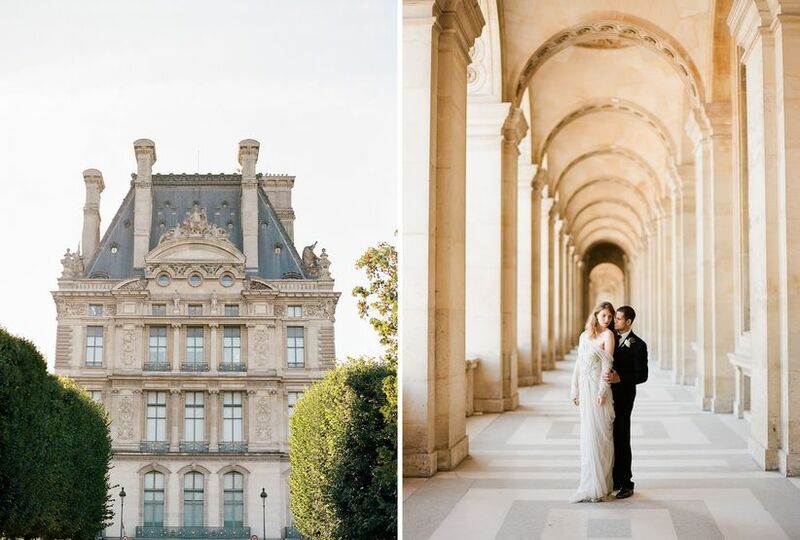 Francophiles and wannabe Parisians, prepare to be swept off your feet with these exquisite Paris themed wedding ideas. 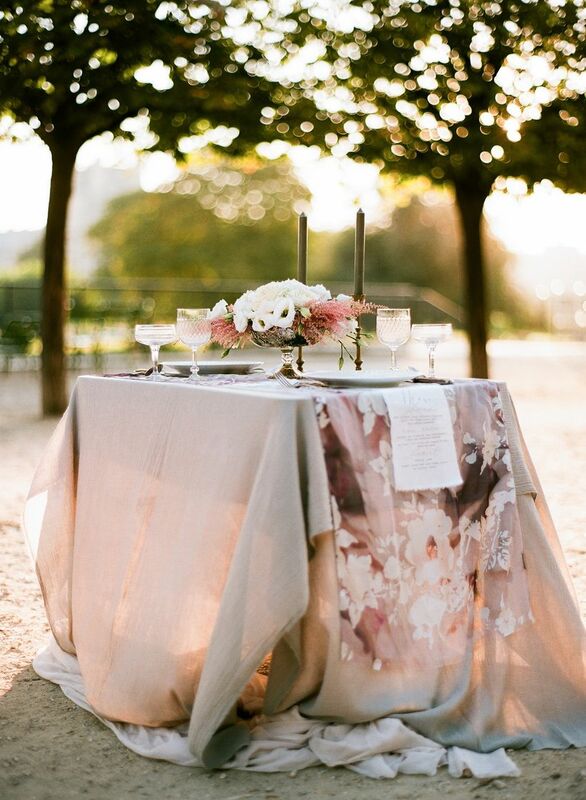 An all-star team of wedding vendors traveled halfway across the world to the famous Tuileries Gardens in Paris to create this magical styled shoot, and we're totally in love with the end result. As if the shoot's storybook setting wasn't enough, the team sourced fresh flowers and vintage trinkets from local markets for a true Parisian experience. 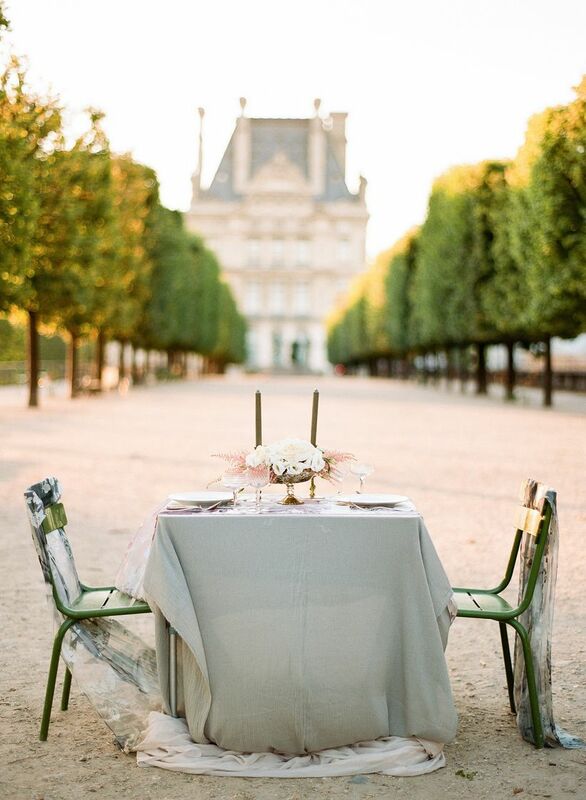 Check out the photos below to see why we're dreaming of these Paris themed wedding ideas. The Tuileries Garden looks like something straight out of a fairytale, which is why it's one of the most magical and famous spots in Paris. 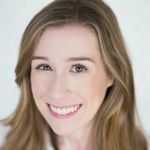 Even if you can't fly to France for your own Paris themed wedding, a historic estate or formal garden wedding venue can create the same effect. 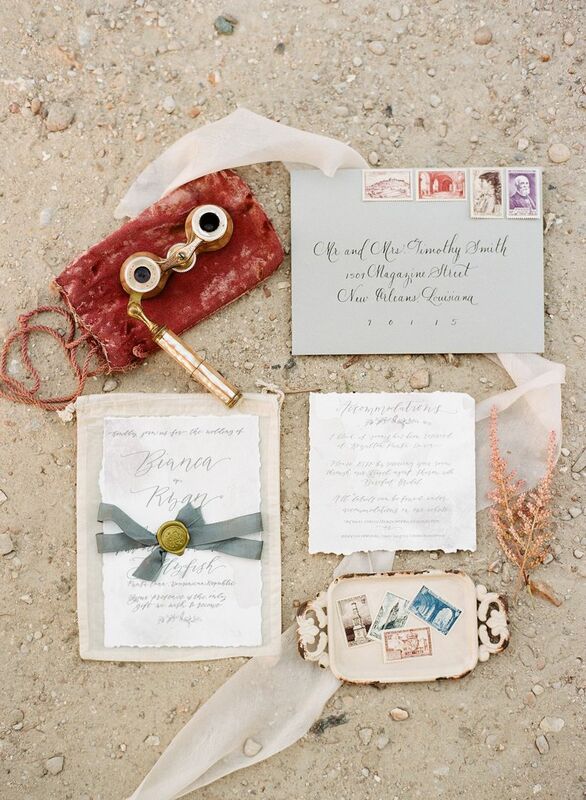 Wedding invitations with a neutral color palette are always in style. This ivory and gray suite is timeless and sophisticated — the calligraphy, wax seal and ribbons add just enough flair to keep things understated yet interesting. 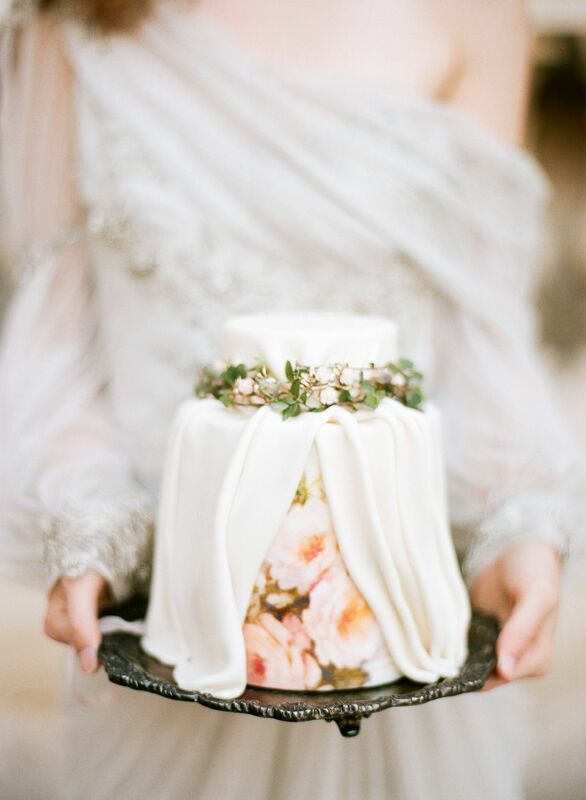 A showstopping wedding dress is a must if you're having a Paris themed wedding. 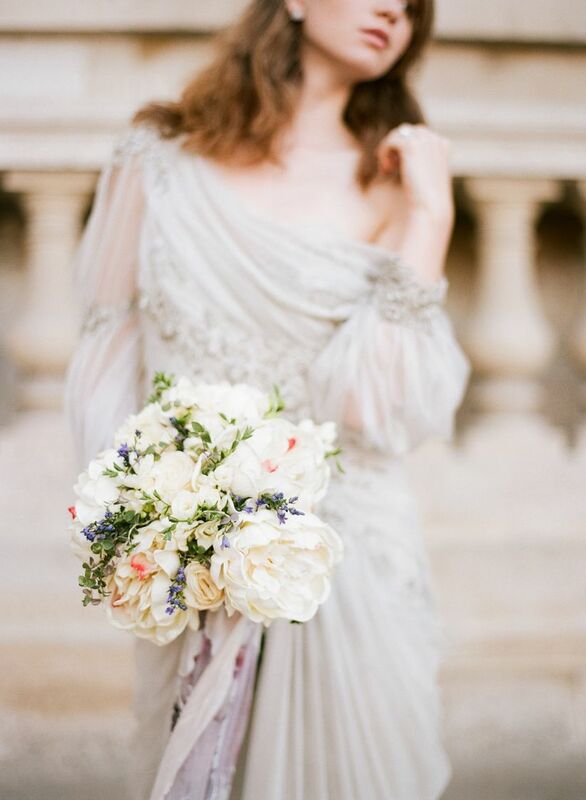 This dove gray Marchesa gown is leaving us completely speechless in the best way possible. 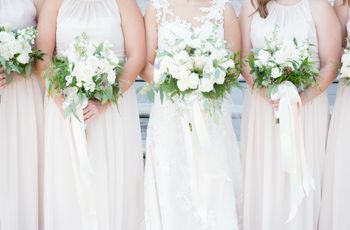 A wedding bouquet of white roses and fluffy peonies always looks beautiful and romantic. You can modernize the arrangement by adding long ribbons to the stems. Paris may be the epicenter of couture fashion trends, but there's nothing wrong with sticking to tradition. 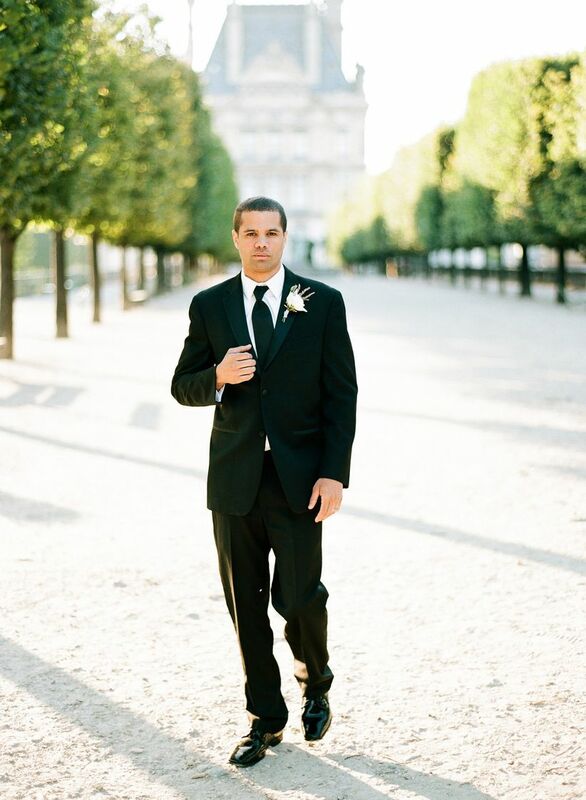 For groom's attire, you can't get more classic than a black tuxedo and tie. 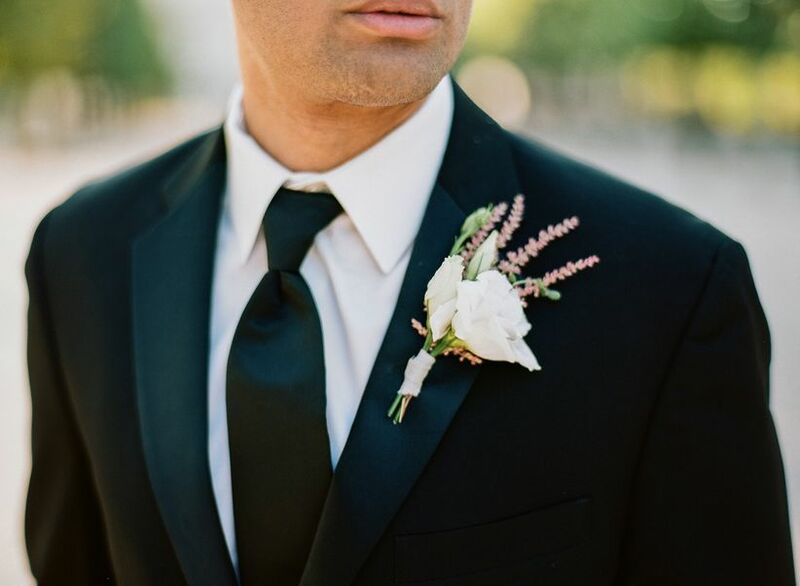 A white and blush boutonniere adds just the right hint of romance. 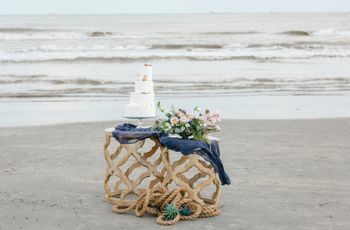 At your reception, consider skipping the head table and sharing a sweetheart table for two instead. It gives you more one-on-one time with your brand new spouse! Paris is the City of Love. 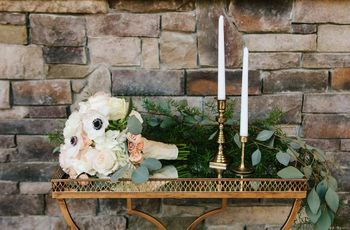 Blush and mauve tones bring an ethereal, romantic look to your wedding tablescape — a floral patterned runner adds extra style and visual interest. 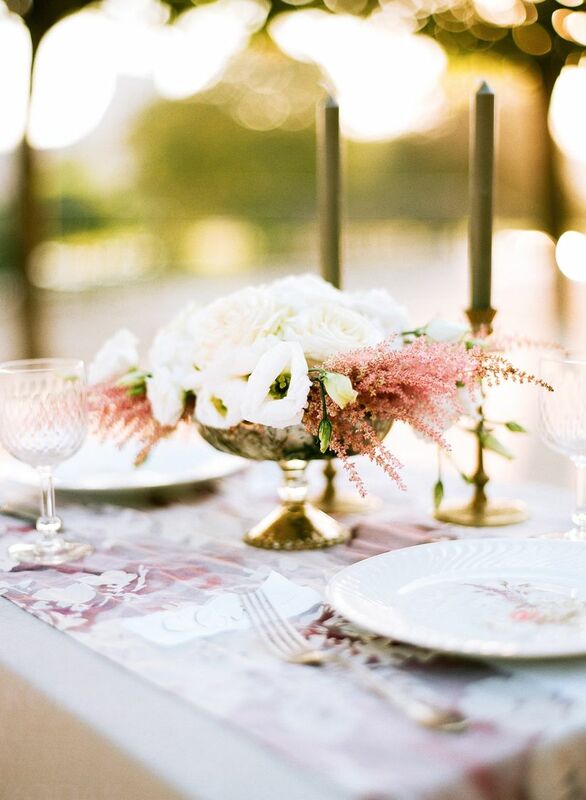 Low centerpieces in compote vases are chic and classy. We're loving the combination of lisianthus and pink astilbe in this sweet arrangement. 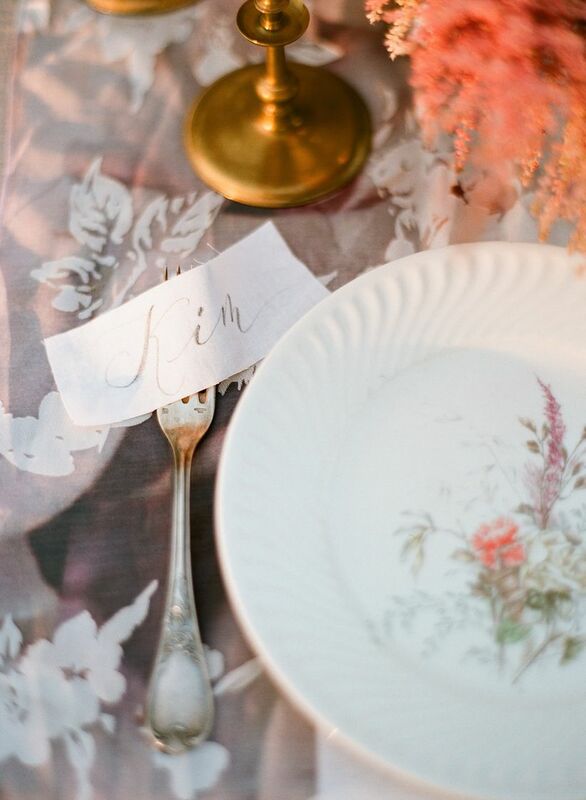 Place cards don't need to be elaborate in order to be effective. If you want a look that's classic with a twist, try swapping traditional paper for a small piece of fabric like this instead. 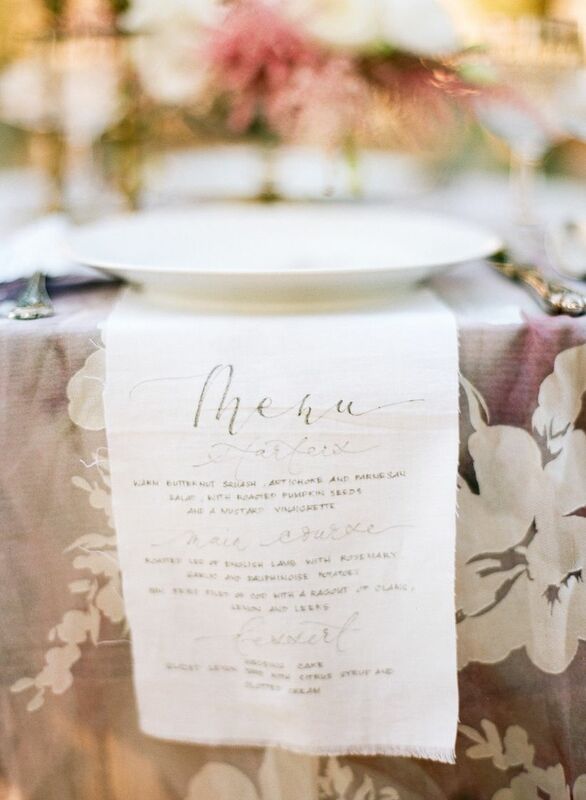 Writing out the reception menu for each of your guests makes the meal more formal and traditional. This handlettered creation is too pretty to resist. It isn't a Paris themed wedding without decadent desserts. 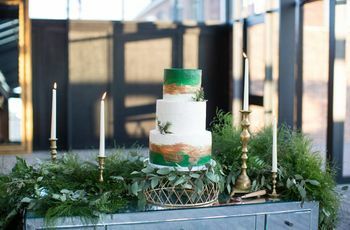 This miniature wedding cake is a work of art — the floral details and draped fondant are purely perfection!